Laser skin rejuvenation is an ideal solution to reduce the effects of aging and damaged skin. As we age our skin loses its tone, texture and firmness. Gravity, sun damage and heredity contribute to lines and wrinkles, pigment changes and broken blood vessels. Clear + Brilliant is our most gentle resurfacing laser. It is effective to treat and prevent the early signs of aging. This non-invasive factional laser affects only a fraction of the skin, leaving healthy, undamaged cells to heal and rejuvenate the skin. It is safe and beneficial for all skin types, and can also treat melasma, patches of hyperpigmented skin that is often seen in women during their reproductive years. 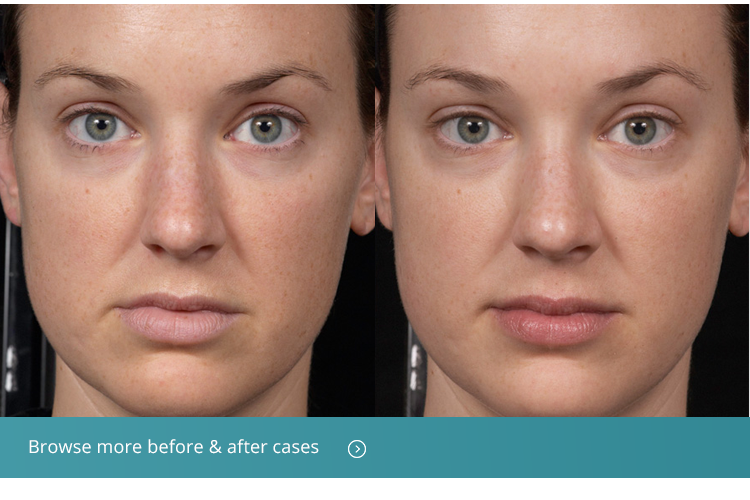 Clear + Brilliant treatment is perfect for young patients who don’t need a more aggressive laser resurfacing, and more transformative improvements. Yet, it is an ideal maintenance treatment for patients who have had aggressive laser resurfacing. Clear + Brilliant treatments will improve texture, tone and elasticity, stimulate collagen production for tightening, reverse dullness, address uneven pigmentation and discolorations, minimize pore size, and improve fine lines and wrinkles. The result is brighter, glowing, more radiant skin. The Clear + Brilliant laser produces very shallow wounds in the skin that stimulate skin renewal and remove superficial damage, skin imperfections, and excess skin pigmentation. It can also help with acne. Clear + Brilliant laser treatments are also superior for more youthful looking hands, and for the neck and chest showing early signs of aging and sun damage. Each Clear + Brilliant treatment delivers noticeable improvement and a refreshed look, with no downtime. Typically, a series of 3-5 treatments is recommended for optimal results. The results are permanent but aging continues, so maintenance treatments will help to keep your skin looking young and refreshed. Also, to maintain the benefits it is vital that sun screen be applied regularly. Topical numbing cream is used before the Clear + Brilliant treatments to maximize comfort. Although the skin will be slightly red just after the procedure, this resolves by the next day. The treated skin will look normal, but may feel tight and rough for up to five days. Makeup can be used immediately. Clear + Brilliant is a perfect lifestyle treatment for busy patients who desire that refreshed look with no interruptions in their work and play. Clear + Brilliant treatments are excellent for men and women who wish to improve the appearance of their skin, and refresh their look. Isn’t it time you did something good for yourself? Schedule a skin care consultation today.